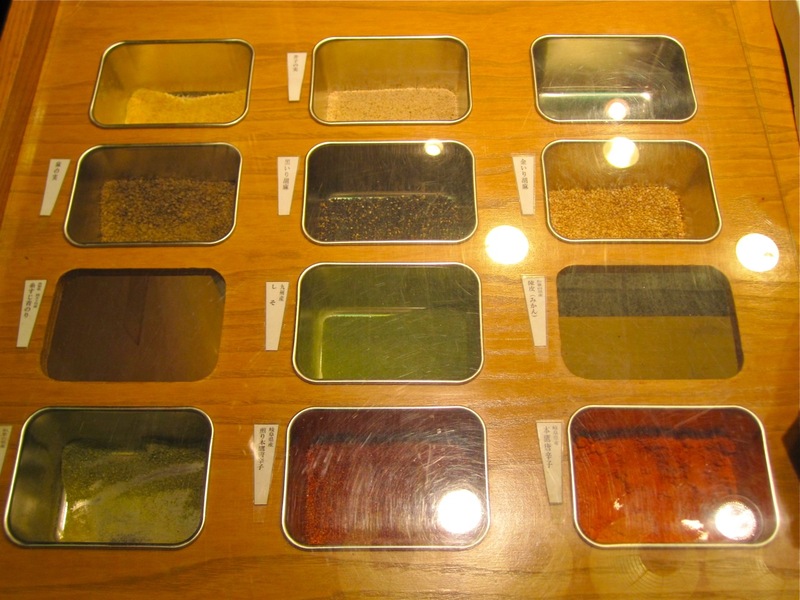 While exploring Kyoto's Nishiki food market street, I came upon Ochanoko Saisai, an artisanal spice shop where everything is ground and packaged on the premises. 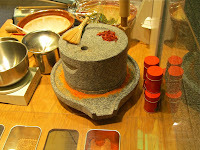 The shops offers passersby potato chips dusted with some of their spices as as a clever way of sampling their offerings. 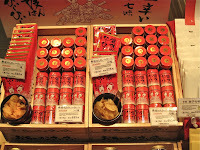 I bought very spicy shichimi (spicy powder made up of seven ingredients, including chili peppers of some degree of heat) and sansho pepper (not really a pepper at all, but pods of the prickly ash tree, whatever that is). 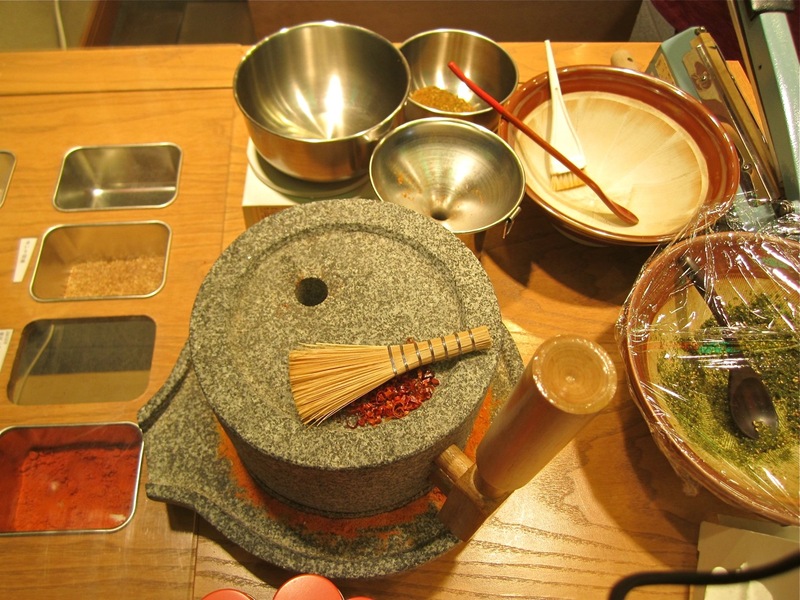 These are common Japanese ingredients, but tasted uncommonly good to me; perhaps they were better because they were so fresh, perhaps it was the romance of the place. 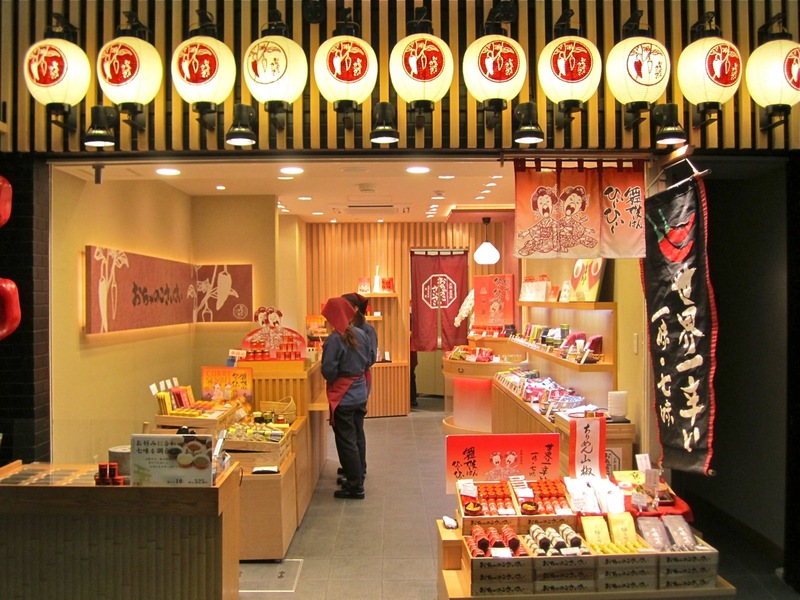 Experiences like my short visit to Ochanoko Saisai are what make the Nishiki food market so much fun to visit. As luck would have it, I am now in Kyoto. I went to Ochanokosaisai and asked whether they sell in Tokyo and found that Odakyu Department Store in Shinjuku has their spices. They said to call first to check but that is not very practical, I'm afraid. News flash: these spices are available at Takashimaya Nihonbashi in Tokyo in the Meidi-ya section. Like all food floors, it's in the basement. Much more convenient than Odakyu. 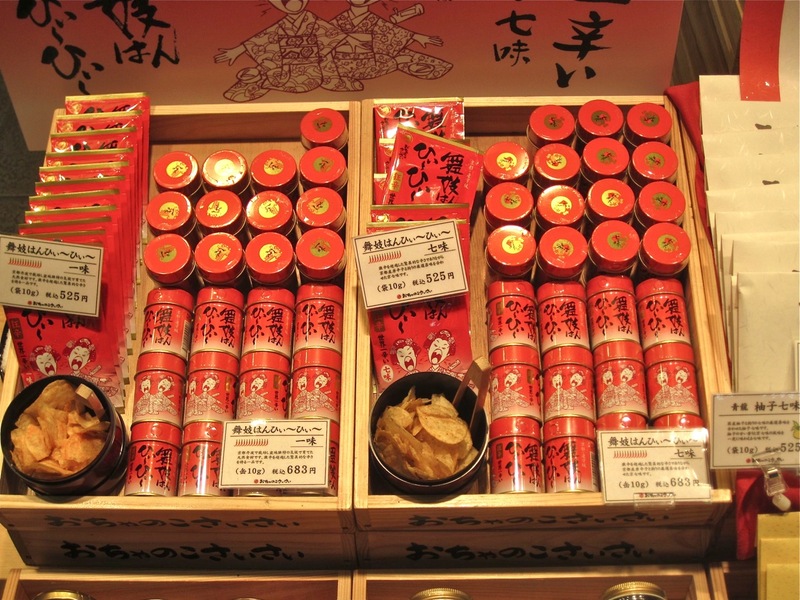 I went to my old Meidi-ya in Hiroo and to my surprise they did not have this brand.